Access to all conference sessions, including a federal update - see a selection of our sessions below! Entertainment including Beach Party Bingo and our annual Karaoke Party! Book your room at the Salishan Resort today! Reservations can be made through our group rates link or over the phone at 1-800-452-2300 - be sure to mention our even in order to receive the group rate! YEBW was founded in 2006 with a simple vision: Educate and inspire youth to become our future business leaders! High school students spend a full week on a college campus with hands-on learning to explore industries, careers and a look into college life after high school. YEBW incorporates inspirational speakers, interactive learning exercises and other professional growth activities in their program utilizing volunteers from the community including educators, executives and professionals to guide, coach and mentor high school students through business curriculum and competitions. Two avenues for supporting the charity will be provided at the conference: "Penny Wars" for cash donations, as well as supplies requested by YEBW. More details will be provided closer to the event! Our full agenda and session information is available here. The Annual Conference Committee is proud to present Hanif Fazal, the CEO and Co-Founder of the Center for Equity and Inclusion, as our keynote this year. A nationally recognized facilitator, trainer, speaker and organizational development consultant, Hanif brings 20 years of experience, expertise, and commitment to advancing equity and cultural competency. In 2015 he founded the Center for Equity and Inclusion (CEI), an organization focused on advancing equity, diversity and inclusion efforts both locally and nationally. Under Hanif’s leadership, CEI has worked with leaders and staff in the nonprofit, for-profit, education, foundation and public sectors to integrate equity and inclusion principles and practices into all aspects of their organizations. Conversations about diversity, equity, and inclusion are taking place in classrooms, campuses and throughout our communities in a myriad of ways. Join Hanif as he invites OASFAA attendees to learn about DEI principles, the impact that a commitment to equity can have on the students we serve and the ripple effect this work can have for individuals and communities alike. Hanif will take participants on a personal and professional journey in which equity and inclusion has been an essential component; so that participants can build a personal, cultural and institutional understanding of DEI. The last day to cancel your conference registration and request a refund of the registration fee is Wednesday, January 30, 2019 by contacting the OASFAA Treasurer at [email protected] No requests for a refund will be honored after close of business on this date. Please ensure that you provide the name of the registrant cancelling as well as the address to mail any refund check. If you register for the event and do not cancel by January 30, 2019 end of business day, you are responsible for the full payment of the registration fee, even if you do not attend. 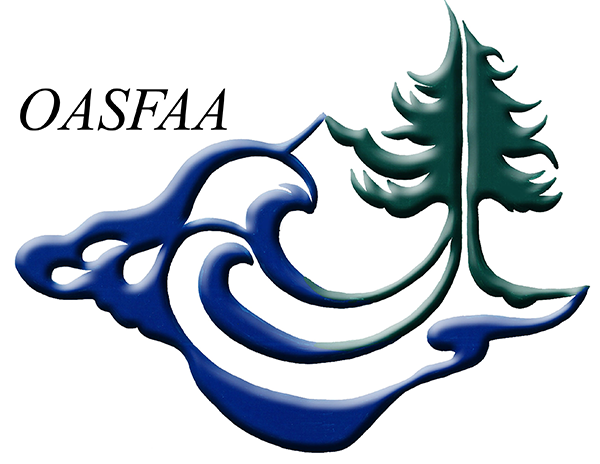 At that point in time, OASFAA will have included your participation in our headcount for food and incurred expenses on your behalf.